It has always been our intention to sell the cars before we left! Where oh where have the home equity lines of credit gone so people can buy a new car? 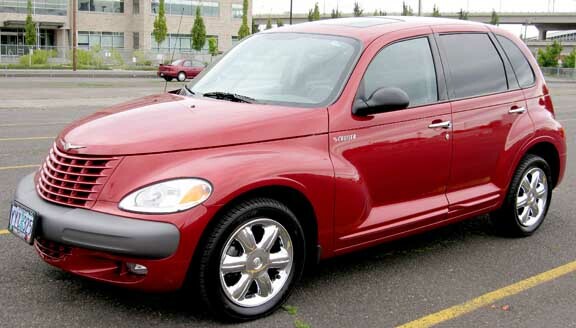 On the bright side, we have the PT cruiser all detailed out and it looks great. Hard to believe this car is over six years old. Of course, it goes to show you how nice a car can look if you never drive it and deem it the “No Kid, No Snack” car! This entry was posted on Tuesday, August 26th, 2008 at 11:17 am. You can follow any responses to this entry through the RSS 2.0 feed. You can leave a response, or trackback from your own site. so true! our mini cooper sits pristinely in the driveway while we lug our gas-guzzling minivan around town. maybe keep the PT waiting for your return? by then the housing and used-car markets may have recovered a tad! *Laugh* I just don’t want to figure out how/where to store any cars. It’s going to be a big enough pain to store the crap we are keeping!